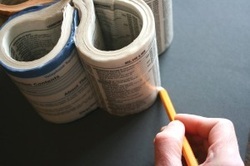 Cut a phone book as shown & divide into equal 5 parts. Clip them for easy management. 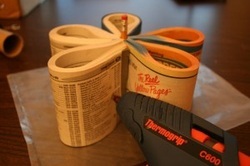 Apply mod podge finish on the edges to secure the pages & make them stiff. 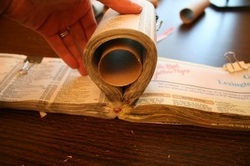 Let it dry then apply a second heavy coat, but this time go ahead and brush the Mod Podge on the inside and outside of the loops, and again on the top edges. Trace the bottom of it into a piece of black card stock. 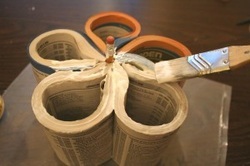 Cut the shape out, cover it with Mod Podge and put it (glue side down) onto the bottom of the pencil holder. This bottom card piece will keep your pencils from falling through. 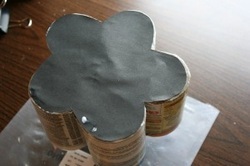 Coat the card piece with Mod Podge thickly & let it dry for stiffness. 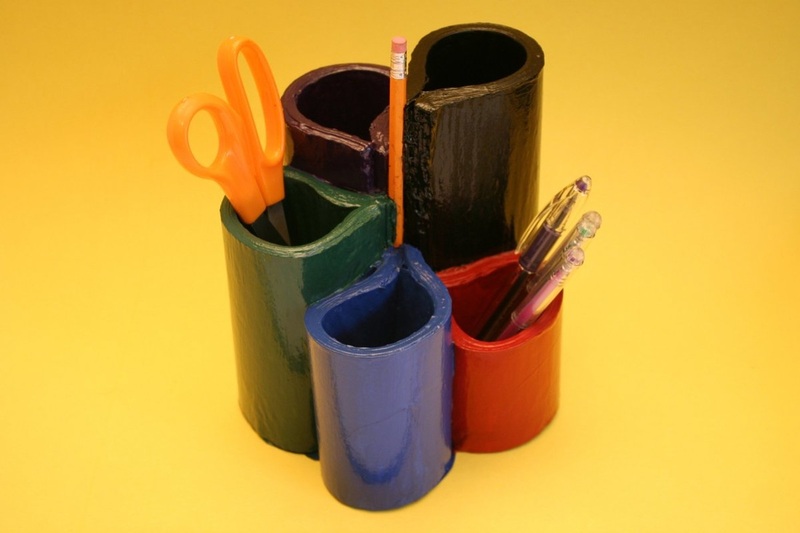 It is now good for storing your stationary. 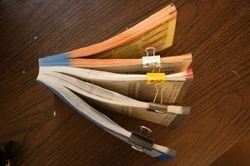 Cut the phone book in different heights & fold as follows. 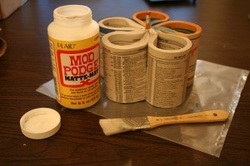 Apply mod podge to make it secure & sturdy. 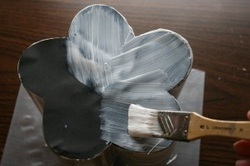 Coat it with different color paints as shown.